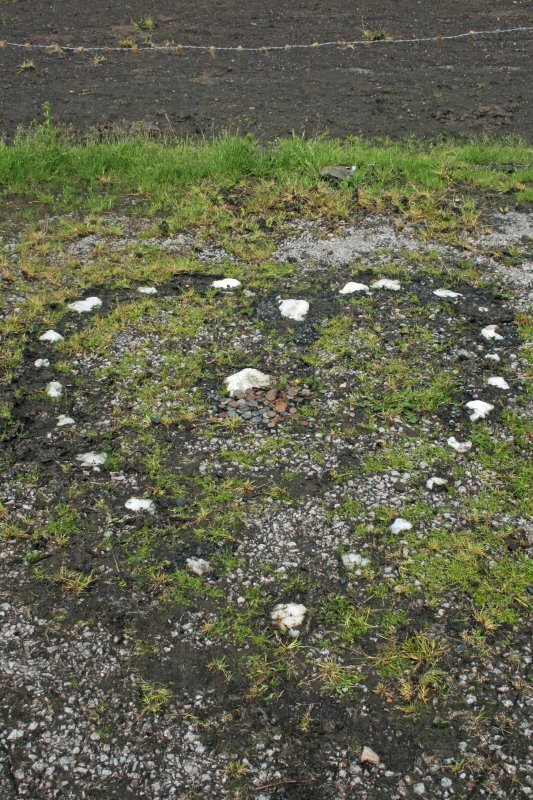 The Tinkers' Heart is a heart-shaped setting of stones embedded in the tarmac of what was formerly a junction of the A815 and B839 roads; the roads have been realigned and moved to the E, leaving the heart within a pasture field. 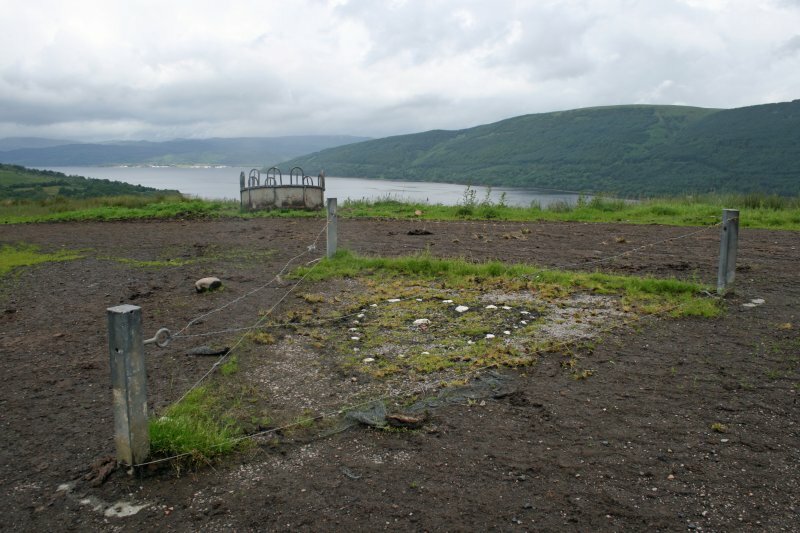 The site, on a broad terrace above the E shore of Loch Fyne, affords a wide prospect, looking NW to Dunderave Castle on the opposite shore, and W towards Inveraray. The heart measures 1.75m by 1.4m, the top towards the NW; it has been picked out with quartz pebbles, twenty-five of which are visible around the edge, with a twenty-sixth in the centre. A photograph taken in the mid-20th century (National Museums of Scotland, Scottish Life Archive SLAC 13570) suggests there were formerly many more pebbles around the edge, but it is not known whether the missing stones have been removed or have simply become more deeply embedded and hidden in the tarmac. In recent times the heart has been enclosed by a chain fence hung from three metal posts, but the chain has been replaced by a strand of barbed wire. The origins of this feature are unclear. There is a tradition within the travelling community that it was constructed as a memorial to local tinkers who joined the Jacobite Rising of 1745 (pers. comm. Jess Smith). 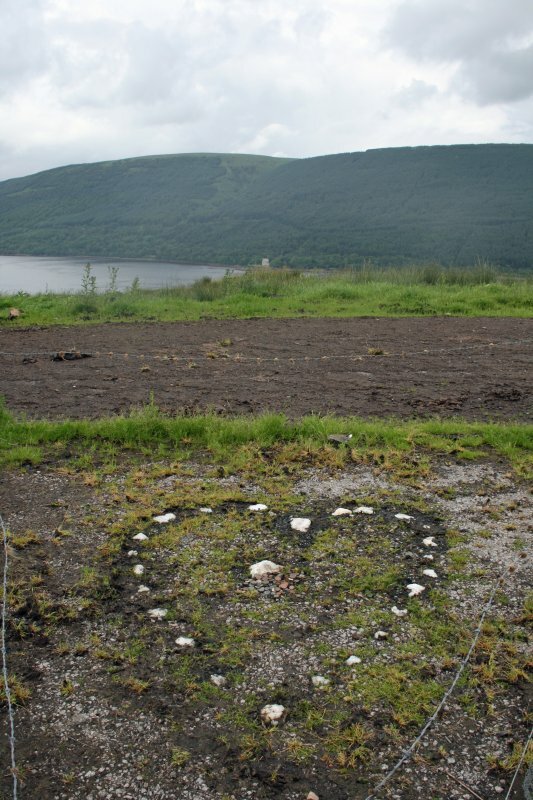 If this tradition is correct, the site may be unique as the only physical monument to the tinker community in the Highlands. By the mid-19th century weddings were being celebrated at the site. In 1928 the heart was removed during roadworks, but was reinstated following local protests. 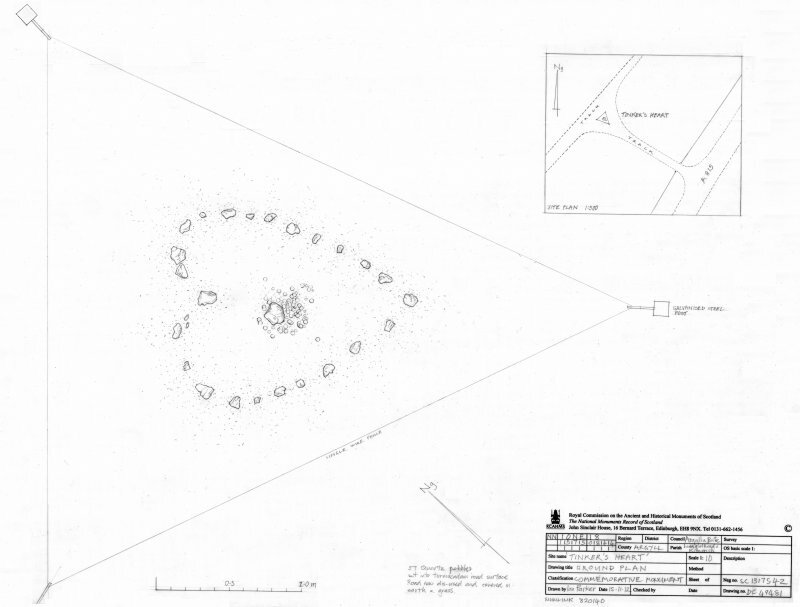 The site is still visited, and coins continue to be placed next to the central stone.